When recent Bowling Green State University graduate Rebekah Nelson of Wapakoneta arrives in Berlin later this summer as a Fulbright English Teaching Assistant, she will bring with her an unusual wealth of experience for someone her age, along with a great deal of enthusiasm. Nelson is one of three BGSU students chosen for the Fulbright program this year. Nelson, who was a double major in German and piano performance through BGSU’s College of Arts and Sciences, will teach English to elementary schoolchildren at the Carl Schurz-Grundshule in the Spandau neighborhood on the westernmost side of the city. It will not be the first time she has had to be in front of a class of German-speaking students, she said. During her academic year abroad as a BGSU student in Salzburg, Austria, in 2012-13, she had an internship in a “gymnasium,” a school for students from about age 11-18, in which she gave presentations in German on American music. Her experience teaching younger students in piano should be helpful in working with the elementary school children, as will the “communicative approach” used in her current job with ELS Language Services at BGSU, she said. While at BGSU, Nelson volunteered with Global Connections, a local nonprofit group devoted to helping international students and families adjust to life in the United States by providing cultural and social experiences and support with language skills. She hopes to take noncredit classes in Berlin at Humboldt University in linguistics or research methodology. Her dual interests have led to a curiosity about the role of musical aptitude in language acquisition, something she might like to study in future. Nelson knows firsthand and “second-hand” what it is like to be a student in another country. When she was growing up, her family hosted several German exchange students who came to Wapakoneta through a sister-city exchange. That exposure also influenced her to choose German when in eighth grade it was time to pick a foreign language. Her language skills improved further when, as a high school junior, she spent a semester in North Rhine-Westphalia living with the family of one of her family’s former exchange students. “I took an intensive ‘German as a Foreign Language’ class after school, and the family’s kids spoke English so they helped me, too,” she said. “With that experience, I began a minor in German when I got to BGSU,” she said. She again took the opportunity to further her language skills by studying in Salzburg with the BGSU German program. That led to her being able to declare a full major in German, as well as music. Nelson will join about 140 other Fulbright fellows at an orientation in Cologne, Germany, at the end of August before commencing her teaching assignment. She is looking forward to life in Berlin and being able to walk or ride a bike anywhere or take the excellent public transportation, she said. Being stationed in Germany will also enable her to travel about Europe during school holidays. The Fulbright Program is the flagship international educational exchange program sponsored by the U.S. government and is designed to increase mutual understanding between the people of the United States and those of other countries. The program operates in over 155 countries worldwide. Tim Cloeter, Assistant Professor of Choral Music, conducted a chorus of 370 high school students at the Youth Symposium of the 13th Annual Malaysian Choral Eisteddfod in Kuala Lumpur on June 13-14. Coming together from all across their country, the students participated in massed chorus rehearsals and individual choir coaching sessions led by Cloeter that culminated in a concert of nine high school choirs and the massed chorus. While in Kuala Lumpur, Cloeter also led masterclasses at two higher education institutions: the Malaysian Institute of Art and the University of Malaysia. 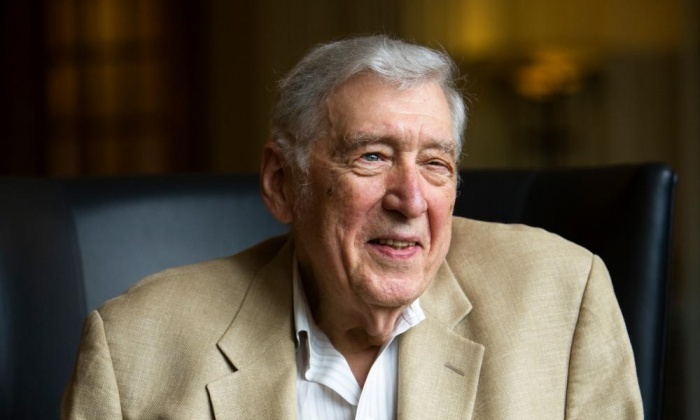 The College of Musical Arts mourns the death of Gunther Schuller, composer, conductor, performer, author and teacher. He died on Sunday, June 21, 2015 at the age of 89. He was a frequent guest on the BGSU campus having received an Honorary Doctorate and serving as the special guest of the annual New Music Festival. 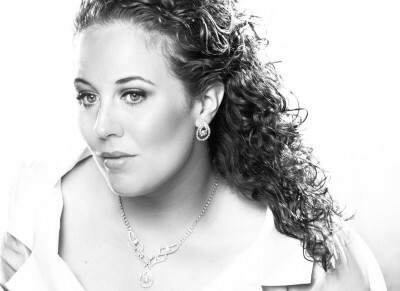 BGSU Alumnae Sara L. Emerson wins grand prize in Chicago’s Opera Idol competition. About two dozen high school students climb off a school bus one cold March evening lugging instrument cases of varying sizes. They head into Moore Musical Arts Center to receive free specialized music instruction from BGSU faculty and students. It’s called Music Plus and it’s been providing handpicked Toledo Public School (TPS) students a chance to not only experience a bit of what BGSU has to offer, but also the luxury of two hours to do nothing but focus on music. Dr. Elizabeth Menard, an assistant professor of music education, has been running the program since 2009, assisted by Dr. Elaine Colprit, an associate professor of music education, and various graduate and undergraduate music students. “It’s a wonderful outreach to the community, but even more beneficial may be the work our teachers get to do. No one is giving or getting more than the other. It’s a mutually beneficial relationship. That’s what a model service learning program should be.”The program started in 1995 and currently runs for 10 weeks during the fall and spring semesters. Band teachers from three TPS high schools—Start, Rogers and Bowsher—recommend outstanding students who have no other way to get additional music instruction. An average of 18-24 students come to BGSU every Wednesday from 6-8 p.m. for group and private lessons. Menard said it’s taken awhile to get the program to where it is today. “I tell you there have been real challenges to meet because of all the changes in the Toledo public schools over the years,” Menard explained. “It seemed to me that at least for the first few years there was always something new we were addressing such as schools closing or reconfiguring the school age arrangements. The last several years I’ve felt like I’ve finally had a handle on these things and now we can do the kind of teaching I’ve envisioned for the program. Every week, Menard drives up to the designated pickup location at one of the high schools, checks in the students as they board the bus and then drives down to campus. Menard hired off-duty Toledo police officers to greet the students when they return and to make sure they get home safely. Once they’re inside Moore Musical Arts, the students switch between private lessons and ensemble work. They also get instruction in music theory and composition as well as piano. On the flip side, their BGSU student instructors get vital teaching experience in many different areas. In the piano room, you’re struck by the silence. Everyone wears headphones, so the only audible sound is the thump of fingers striking the keys. All skill levels are represented. One of the BGSU students helping with the class patiently explains the meaning of musical terms like staccato and legato to one participant. That student is Lizzie Ritter, a freshman music education major from Ann Arbor, Mich.
“It’s so cool to see them take the musical skills they have and apply it to piano. Having a class like this helps them become better musicians overall,” Ritter said. Over in the composition room, graduate student Andrew Selle listens to students’ ideas and offers his own suggestions. While some of the high school students go “old school” with a pencil and composition paper, most of them utilize iPads to put their ideas into musical notation. Sean McMullen, a senior at Start High School, is a percussionist and marimba player in his school band. He’s also the self-appointed recruiter for the program. “I’m showing everyone new techniques and how amazing it is. I went in there and I said, ‘Here’s the deal. You should all come to Music Plus.’ I convinced like four or five other people from Start to come. Fellow Start student Hanna Jalal typically plays trumpet, but is focusing on French horn during her time in the program. For her, the composition classes have been transformative. Isaiah Benjamin, a graduate student in violin performance from Dallas, said he identifies with many of these students. For all of these students, the time inside Moore Musical Arts gives them a chance to grow and explore music in a way that’s impossible during their regular band and orchestra classes. The program is currently funded through the Marjorie Conrad Foundation. A final program will be held at 6:45 p.m. April 29 in Bryan Recital Hall where students will perform solos and hear student compositions performed for the first time. Dedication. Enthusiasm. Passion. When asked to describe what Kathleen McGrady ’81 is like as a mentor and teacher, these are the three words most used by her students and colleagues. Her passion for teaching music is one of the many reasons McGrady was named Ohio Music Education Association’s (OMEA) Music Educator of the Year. For 33 years, McGrady has been teaching music. During her time at BGSU she participated in several groups including the Falcon Marching Band, Concert Band, Jazz Lab band and Tau Beta Sigma sorority. After graduating from BGSU, McGrady went on to receive her master’s degree in music education from Vandercook College of Music in Chicago. From there, she went on to teach band in the Northwood school district, where she was named Teacher of the Year in 1996. At the time, there were only 12 students in the band but she was able to build the program up to 80 students within eight years. After 17 years in Northwood, McGrady was hired to teach music with Springfield Local Schools in Holland, Ohio. As director of bands, she instructs the 6th, 7th and 8th grade bands, the Blue Devil Marching Band and the High School Symphonic Band. That’s 450 band students she teaches every day. For the past few years, she has called on BGSU’s College of Music for help. “BG has been really special about giving me a student teacher every year. They’re helping me just as I’m helping them. They’ve been great,” she said. One of them is senior Ryan Williams. This year, her student teachers were able to help McGrady prepare the 8th grade band for its performance at the Ohio Music Education Association’s conference in Cleveland—the only middle school band in Ohio selected to perform. One of the songs that the band performed had a BGSU connection. “Evocation” was written by Ryan Nowlin ’00, ’04. He is the assistant director of The President’s own United States Marine Band. Nowlin wrote the song for the Ohio Chapter of the International Bandmasters Fraternity, Phi Beta Mu, of which McGrady is a member. Phi Beta Mu asked McGrady to premiere “Evocation” at the OMEA conference. “It was such a beautiful piece of music. This was such a treat and an honor for our 8th graders,” she said. At that same conference, McGrady was honored as Music Educator of the Year. This is the third year in a row that a Bowling Green State University alum received the award. The last two winners were George Edge ’79 and Barry Hartz ‘82. Several of McGrady’s collegues wrote letters of recommendation to OMEA, including Bernice Schwartz, who worked with her for 14 years. Schwartz described McGrady as an inspiration for her students. “She provides her students with an abundance of opportunities and strives to help every one of them succeed both in and out of the classroom,” she said. Schwartz remembers a time when a student was at risk of not graduating due to too many absences. McGrady developed an incentive program so that he could pass. “She genuinely cares about every student and will do whatever it takes to make sure they succeed,” Schwartz said. McGrady recalls another time when a band student’s parents lost their jobs and couldn’t afford to make the payments on their child’s instrument. So she stepped in to help. “If a child doesn’t have an instrument, I’ll find it in a flea market if I have to. It’s just how I grew up—in an Italian Irish home. You give, you are kind to people. That’s what I was taught,” she said. Because of Springfield’s 8th grade band’s performance and McGrady’s award, the village of Holland proclaimed Feb. 17 Springfield Middle School Band Day. The Buckeye Cable Sports Network (BCSN) also named her Teacher of the Month in January. McGrady has won many other awards including: Springfield Middle School’s Teacher of the Month, Springfield High School’s “You Made a Difference Award,” and “Outstanding State Chair Award” at the 2014 American School Band Director Association’s 60th National Convention. She currently serves on the BGSU Alumni Band Board and is involved in the Ohio Ambassadors of Music, which takes 100 students to Europe every two years to perform. The trip is organized by Dr. Bruce Moss, director of bands and professor at BGSU. McGrady maintains an active schedule throughout the year as a guest conductor and serves OMEA in several capacities including All-State Ensemble Chair for the 2016 Conference in Cincinnati. She will retire in May but doesn’t plan on relaxing for too long. “I have 10 more years in me. My resume is ready to go. I’m looking for something at the next level,” she said.